after coming home from Onstage in Nov.
them for my blog yet. I did not put them together just like the photo SU! provided. 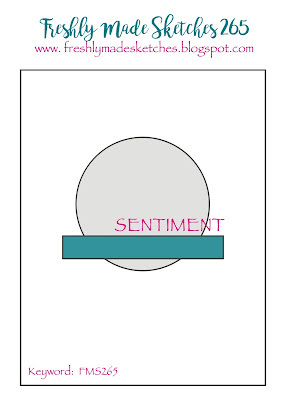 I do really like the new DSP paper stack called Sending Love. Lots of Real Red and White happening! 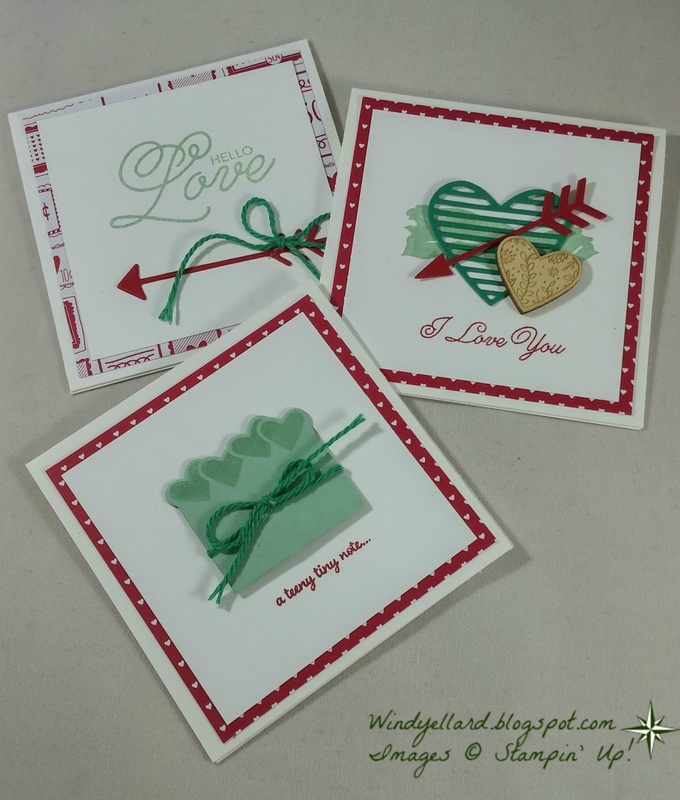 wooden hearts, mini paper clips and some grosgrain ribbon. catty that starts Jan. 4th, 2017. 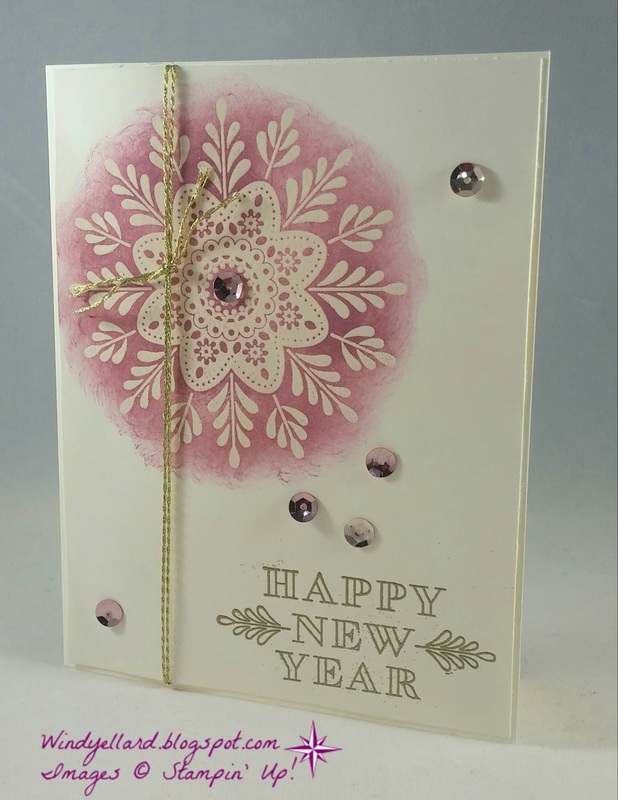 I hope you have a blessed New Year's Eve and thanks for stopping by! Island Indigo, Pool Party and then Soft Sky. Tried for a little water look for my flower. No stamping since I used all dies on the front. for demos) I wanted to case. I sponged on the three colors with the sponge rollers. I started with Crushed Curry, Peekaboo Peach and Calypso Coral. with a little rubbing alcohol. Flourishing Phrases and a die from Rose Garden. Hope you have a blessed Thursday and thanks for stopping by! 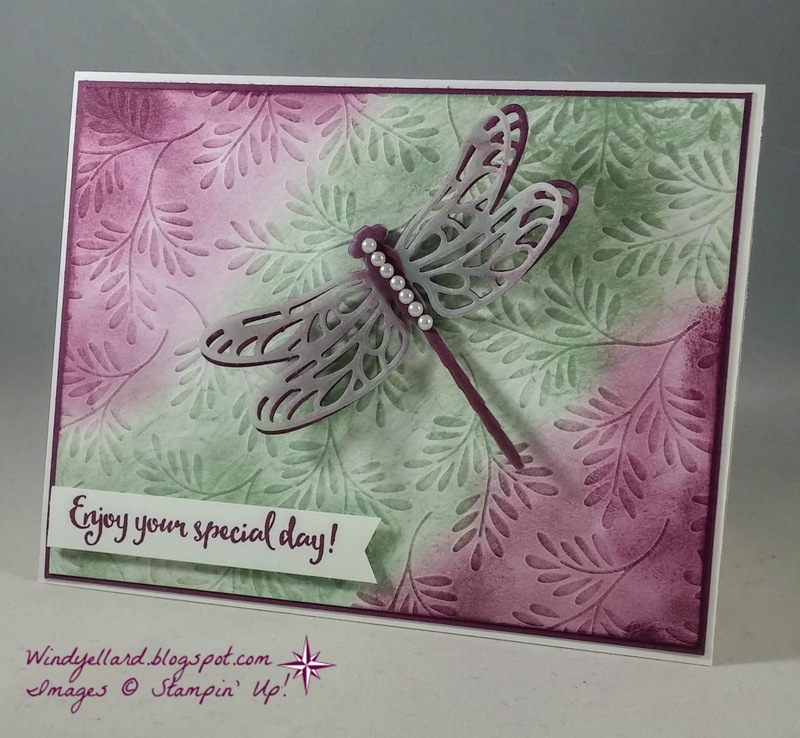 Yes, more dragonflies are always best! 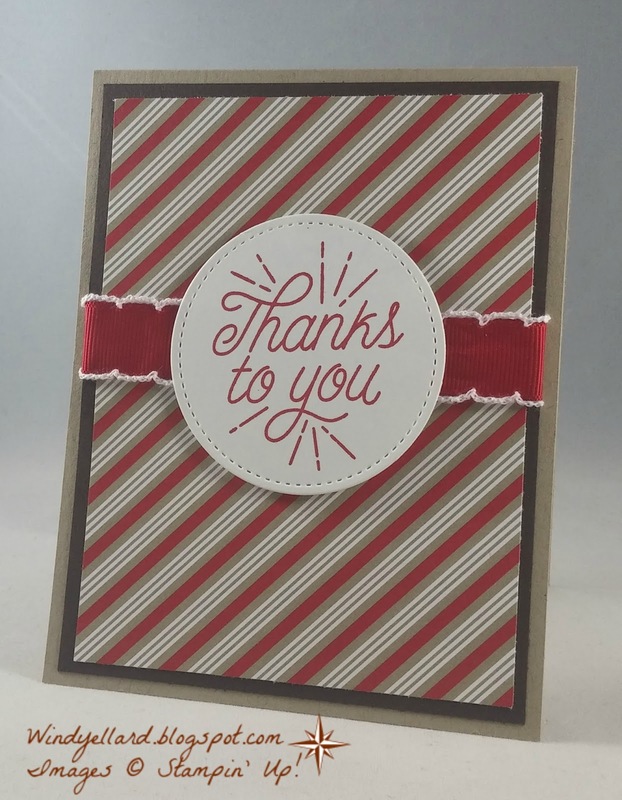 I started this card with the Fancy Frost DSP. like Sweet Sugarplum. So I added some glimmer ribbon! I die cut the dragonflies and placed on my background. They looked nice but a plain. Adding pearls really did the trick! half says "and everything else." I attempted to case a Peggy Noe card but it did not quite work. 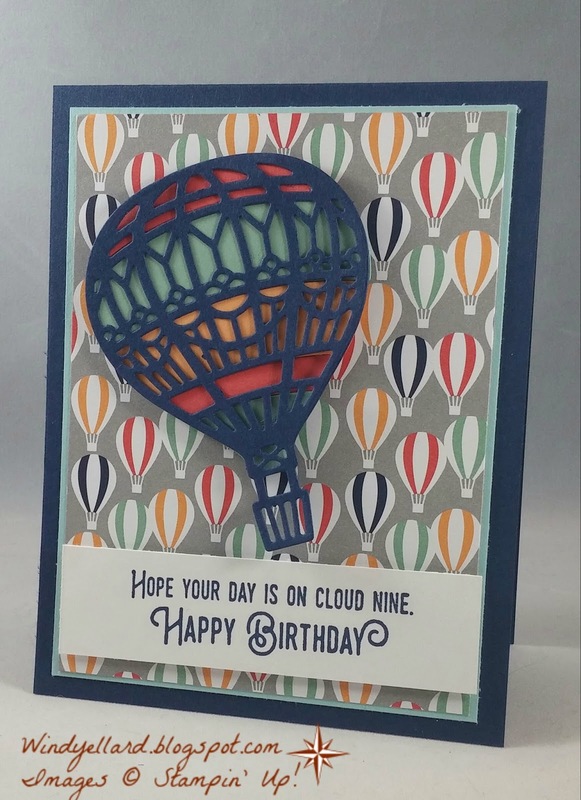 My friend Peggy at prettypapercards.com designs the most beautiful cards. I started with background paper called Fancy Frost Specialty DSP. I sponged the Rich Razzleberry in the corners. 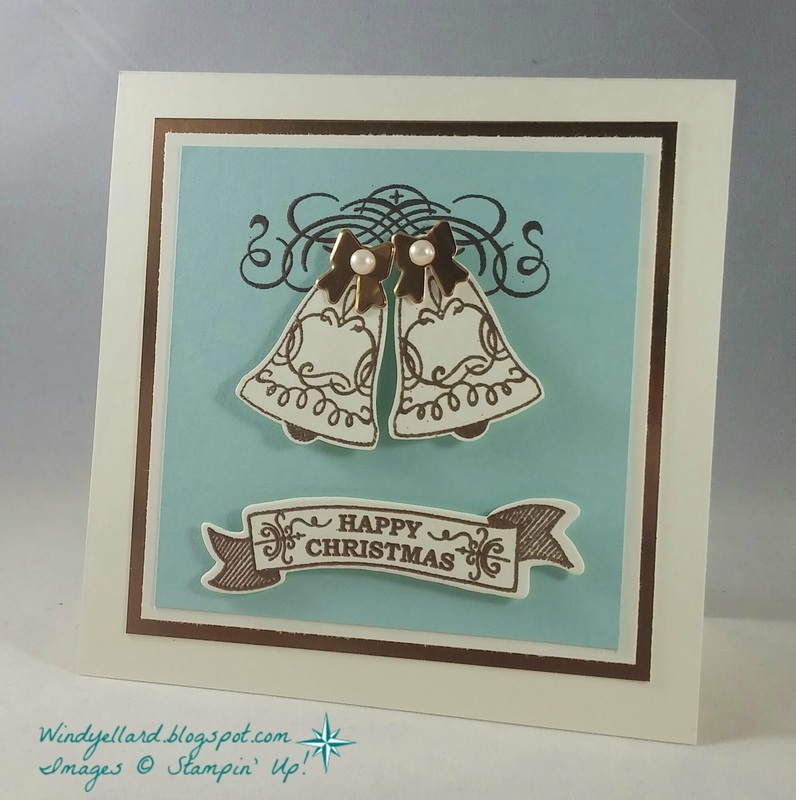 then added a little sponging on top of the vellum and finished it with pearls. 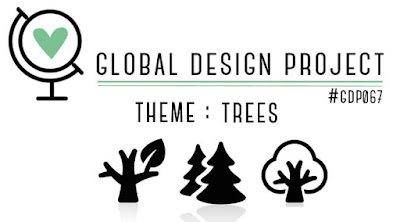 I wanted to use a tree that goes unused a lot! 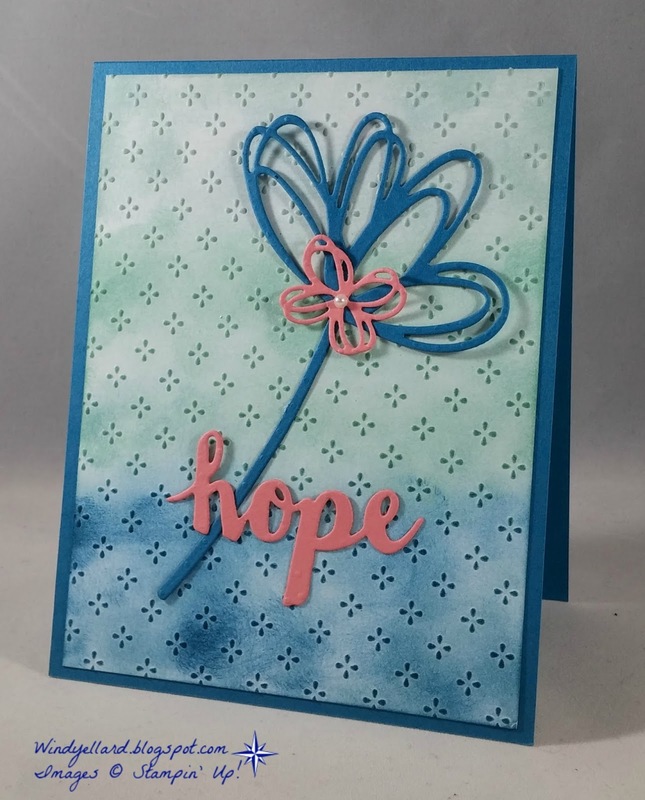 use a sympathy card at ready in my stash. 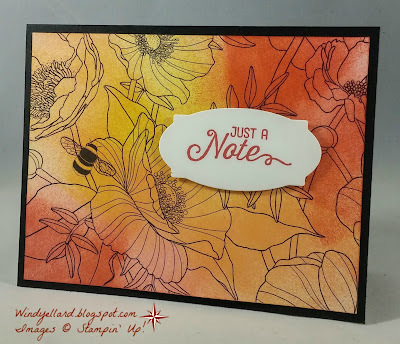 set and then stamped it off once before stamping on white. 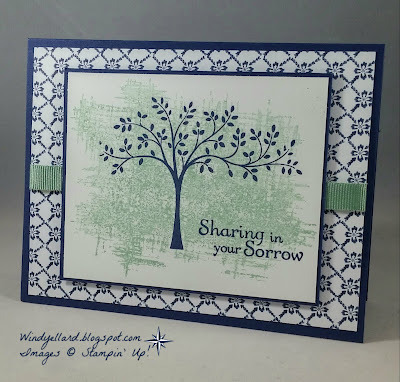 I then stamped the tree in Night of Navy and the sentiment. Layered the images on Night of Navy and some Floral Boutique DSP. I added some Mint Macaron ribbon. It turned out soft and pretty. 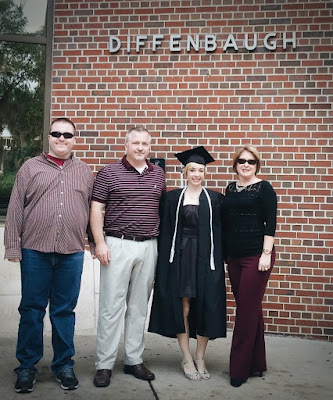 We are so proud of all her accomplishments! Freshly Made Sketches challenge up until Jan. 2nd, 2017. 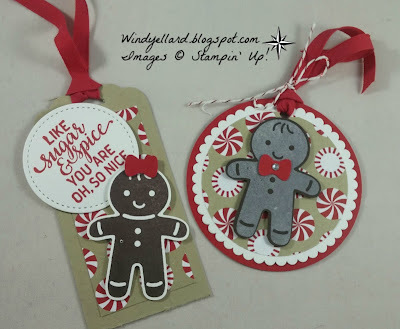 I used the matching dies to cut them out. from Jar Of Love in Night of Navy. I added some of the Carried Away DSP to the background. starting the 4th of Jan. thru March 31st, 2017. 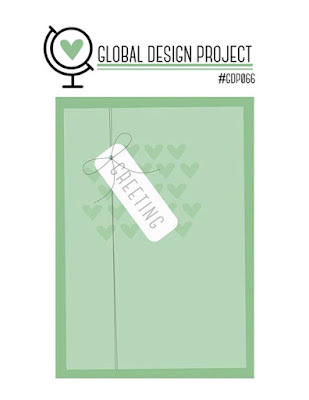 Again , I think I will be going through the Peekaboo Peach card stock! Really like it with the Night of Navy,too! with a Peekaboo Peach marker. behind but a sentiment just did not fit anywhere I liked. 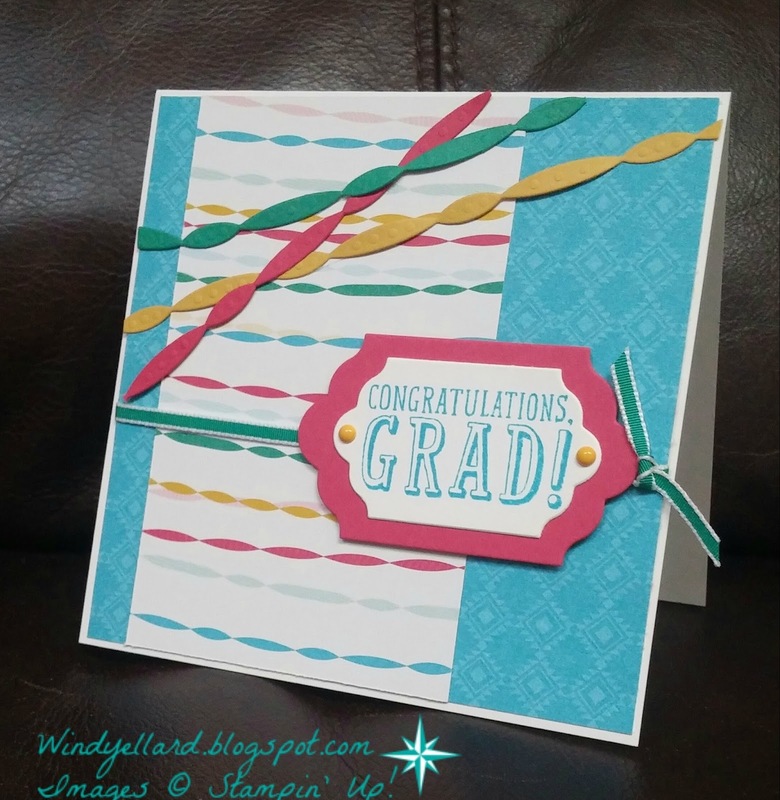 be a birthday card but can work for congrats, too! 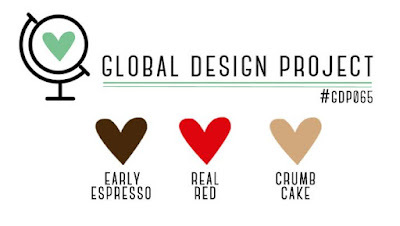 Love the peach and espresso together! I noticed several of the DSPs are using the Peekaboo Peach color. I will have to stock up on the card stock! The challenge is up til Jan. 2nd, 2017.
but with the Lift Me Up set and dies! My friend and customer, Nancy, brought these to me! decorated these yummy chocolates with the Candy Cane Lane DSP. and then I forget. Maybe I can do some at Valentine's this new year! 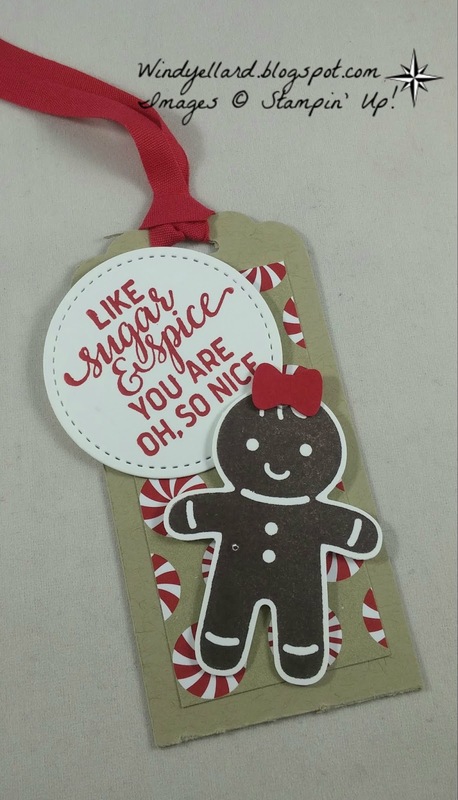 Hope you have a wonderfully sweet day! Happy Christmas and thanks for stopping by! I would play with the carousel horse. Basic Gray, and Early Espresso. 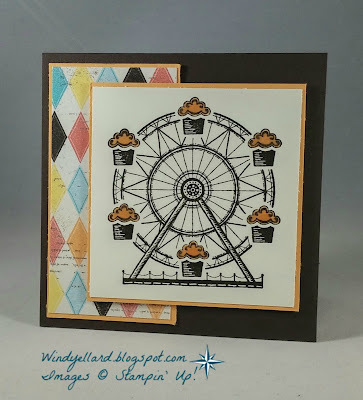 I then cut a circle out of the Cupcakes &Carousels DSP in center of the design. 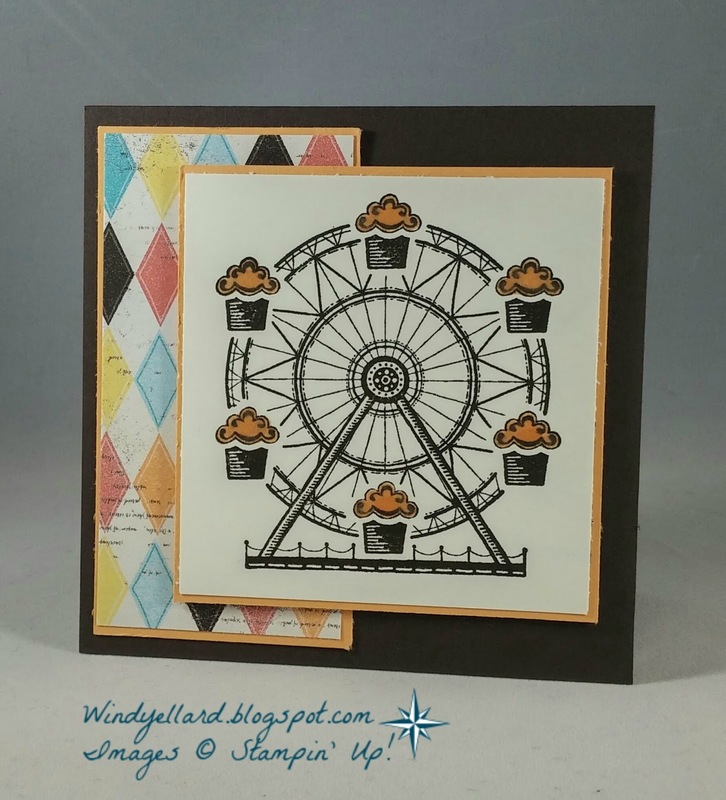 Layered the stamped image behind and placed on a 5 1/2" sq card stock base. Was not sure what I wanted to do with a sentiment. on the set So In Love. I stamped it right on the DSP. I will enjoy playing more with these sets! 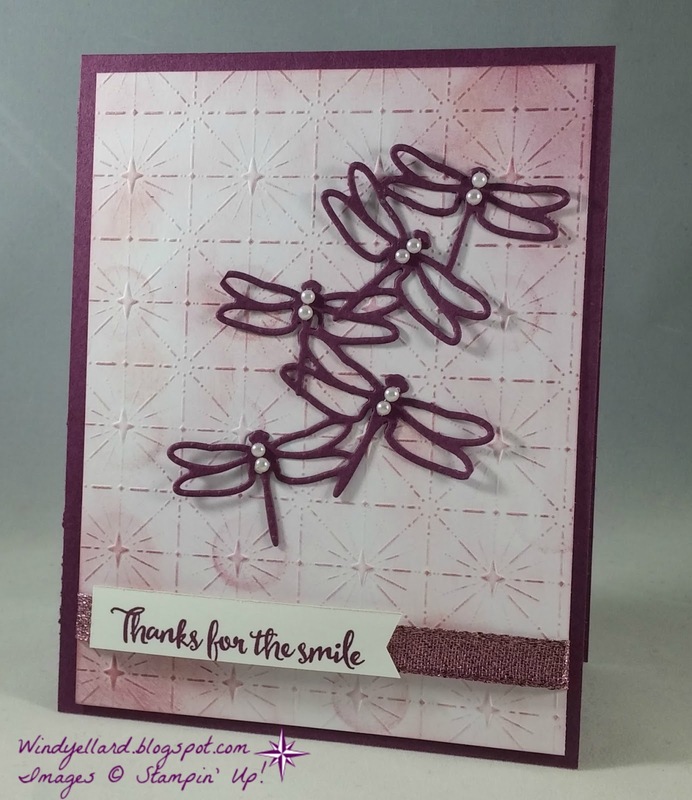 Quick card to post today! stamp set called Avant Garden. starting Jan 4th during Sale-a-bration running til March 31st. 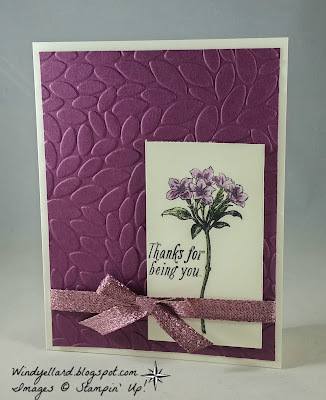 I used the Rich Razzleberry pencil along with the Old Olive. finally used my new Petal Burst emboss folder. I do not know why I waited so long to buy this great emboss folder! 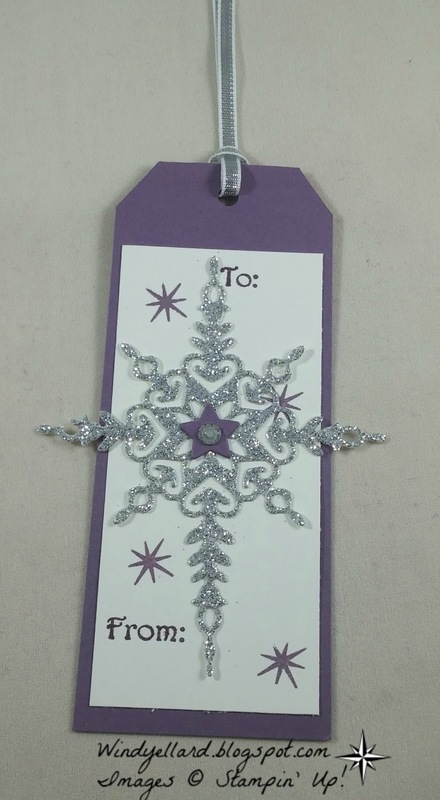 I little Sweet Sugarplum glitter ribbon finished it off. 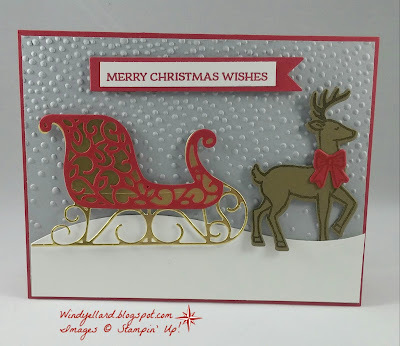 Christmas cards I designed this year. Have a wonderful and blessed Sunday! 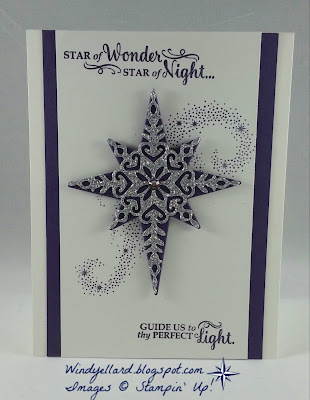 2017 Occasions catalog which starts Jan 4th. You get 13 colors for 16.00. I pulled the Melon Mambo, Daffodil Delight and Old Olive pencils here. I colored a little on the flower and then went over with a aqua painter. I then went back and added a little pencil to the grooves in the petals. I stamped and colored on Whisper White card stock. from a SAB set called Delicate Details. 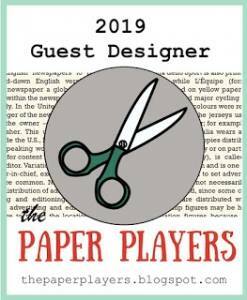 also starts Jan. 4th thru March 1st. Florida State University (FSU) in Tallahassee Fl. 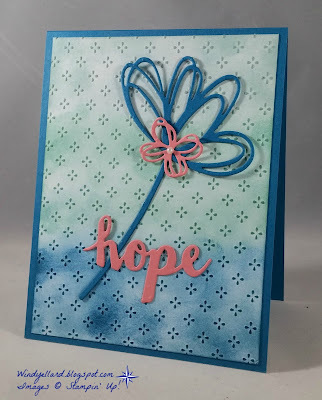 She loves turquoise so I pulled from the Festive Birthday DSP. I also grabbed the Fiesta Time framelits for the streamers. The sentiment is from B.Y.O.P. 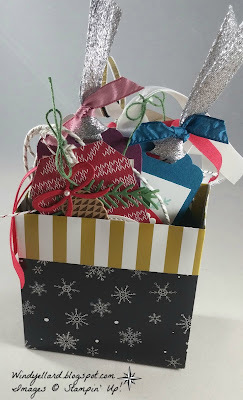 and i used some Lots of Labels to layer it. A Few More Christmas Tags! Just a few more tags I can not remember if I have shown off. The Purple one is so pretty with the Silver glimmer star and Perfect Plum! 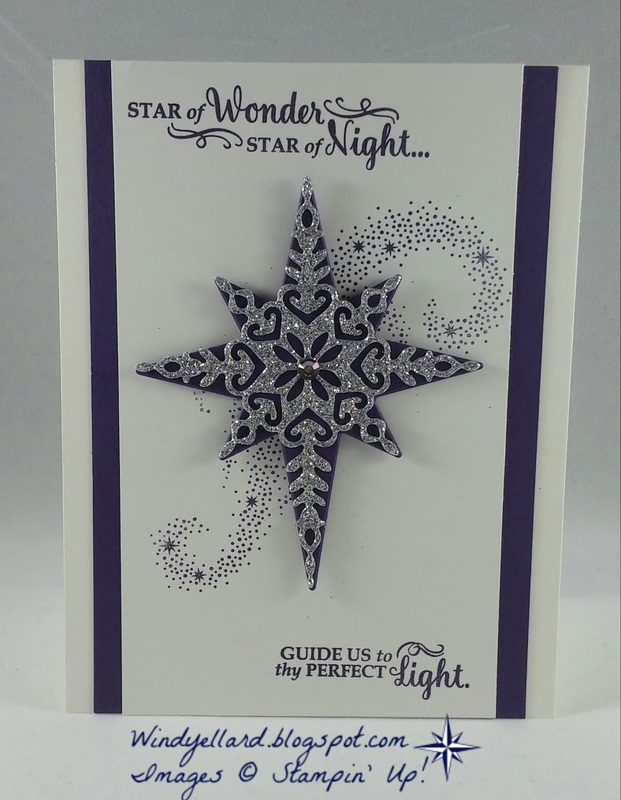 It uses the Star of Light set with Tin of Tags for to and from. Also the Starlight thinlits dies. for the sentiment...which is a fav of mine! I stamped the reindeer on Soft Suede in Early Espresso ink. 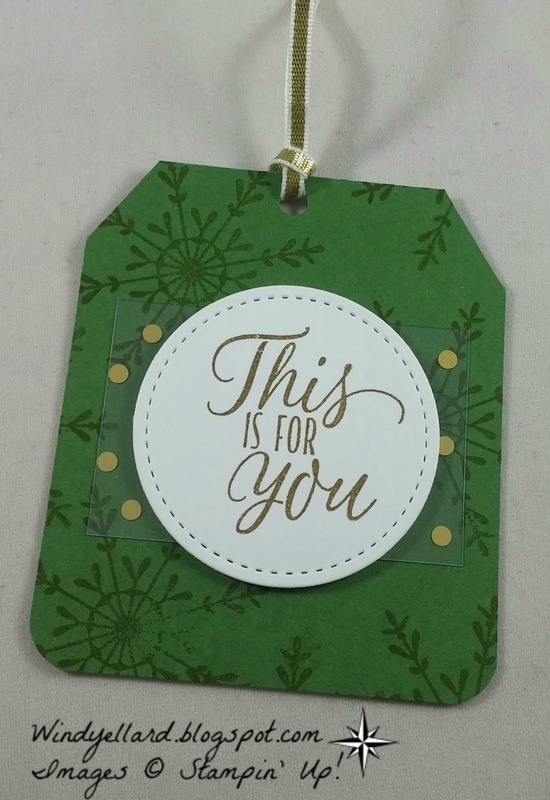 I added a little burlap ribbon behind the oval sentiment stamped in Garden Green. 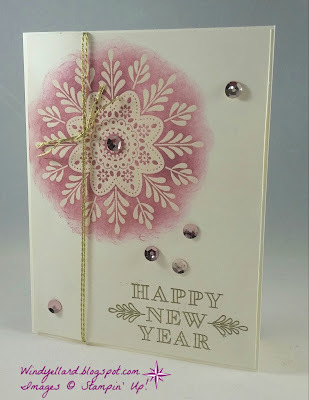 I decided to make a New Year's card when I saw this challenge. The layout remind me of the Frosted Medallion in this set. on a piece of Very Vanilla card stock. and heat embossed with gold emboss powder. I finished it off with some bling-sequins and shiny gold thread! 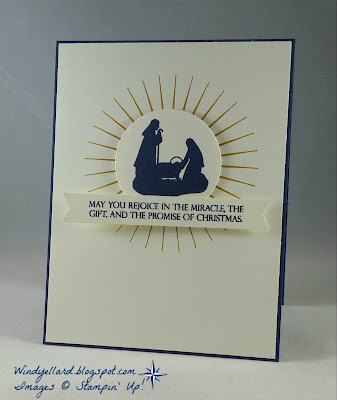 I attached the card stock to a base of Very Vanilla. so taking a photo here on my leather sofa. a couple of metallic doilies that I seem to hoard so have lots. and cut it out with a circle die. A little gold and silver 1/8" ribbon and it was done. It even went onto a silver gift bag right after this photo! 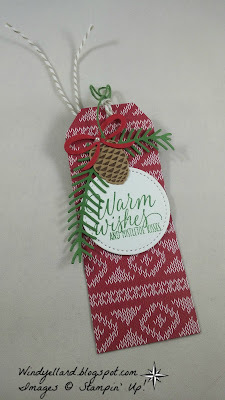 The warm wishes tag is one of my fav I made this year. 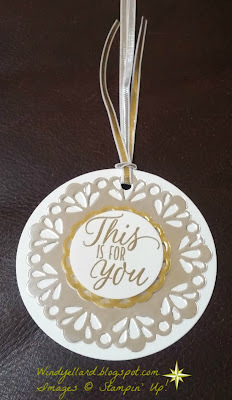 The This is For You tag I hand cut the top and corner rounded the bottom. from the set used here- Tin of Tags! 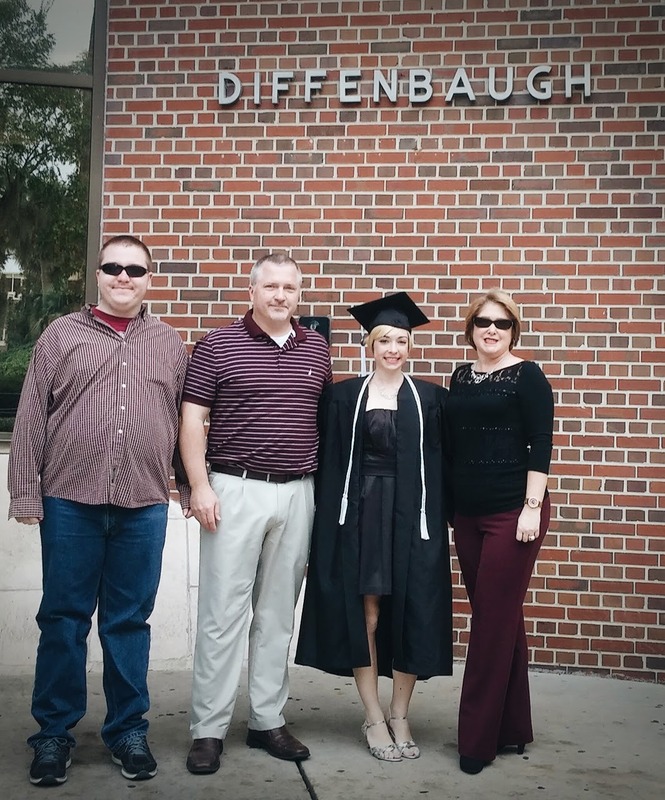 I am excited that my daughter is coming home tonight from college! Made some gingerbread tags for class last week! with Candy Cane Lane DSP. 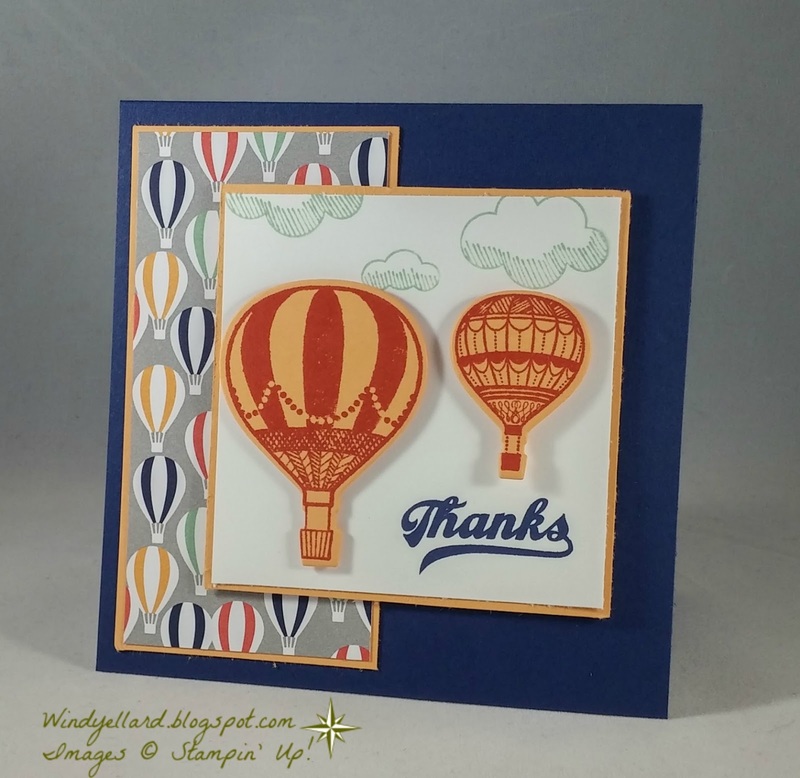 Really like the round one a with the scallop! White Craft ink on Early Espresso card stock. Today is my husband's 49th birthday! in the Occasions catalog on Jan. 4th, 2017.
with the dies. I also really like this sentiment! in Jan. with our SAB (Sale-a-bration) promo. 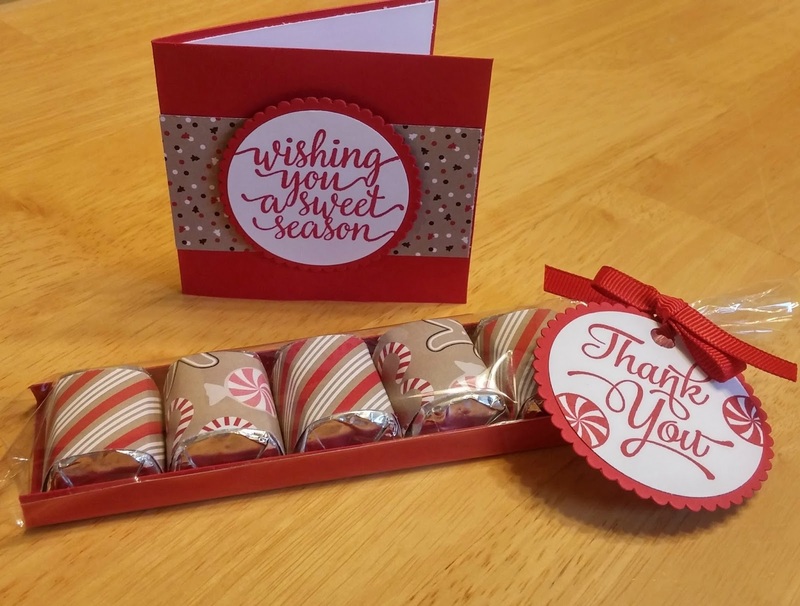 I hope you can a sweet day and thanks for stopping by! 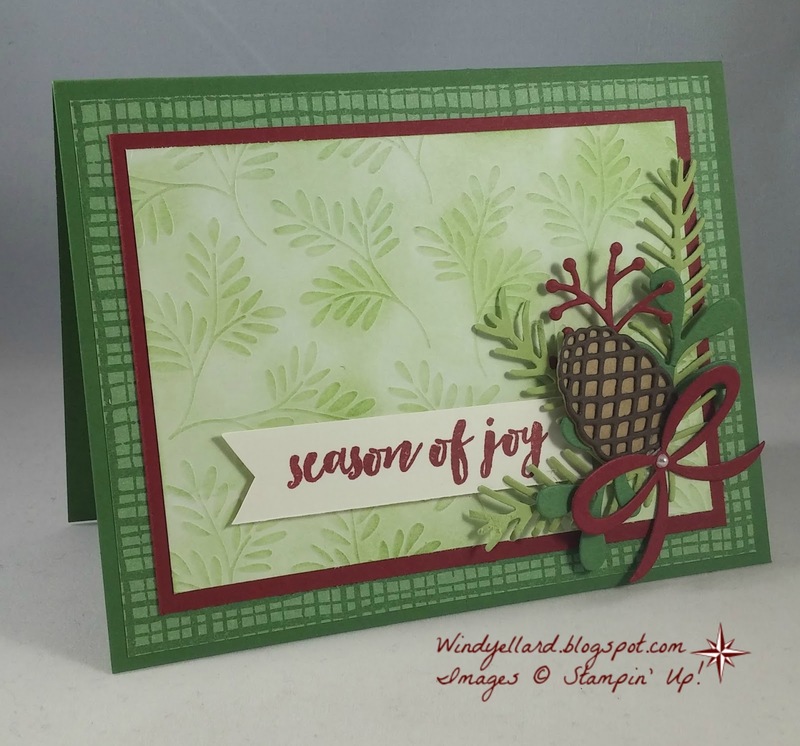 This is another card I designed for the InkBig Design Team in October. 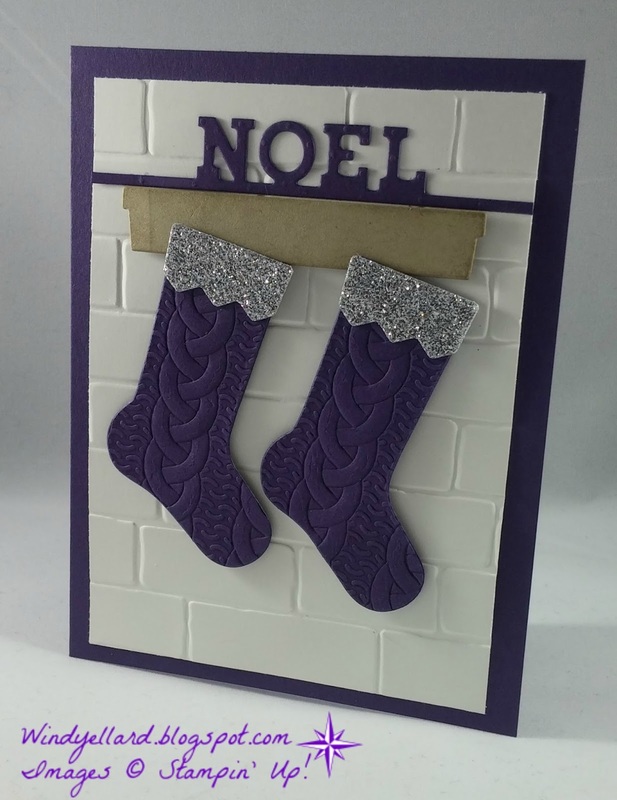 and covered it with the silver side of the Fabulous Foil Acetate. it out along with a scallop back in Smoky Slate. 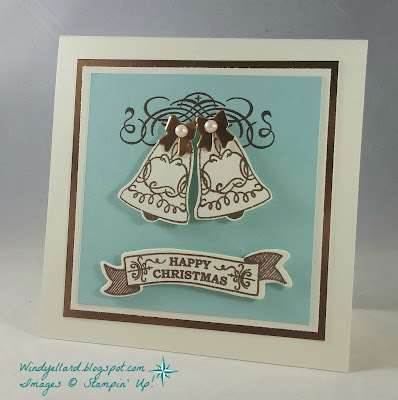 I stamped the bells in Smoky and the Mr and Mrs in Basic Gray. They punched out and a bow added finished off a sweet little wedding card! I made some bags for my guest for my Christmas tag class. 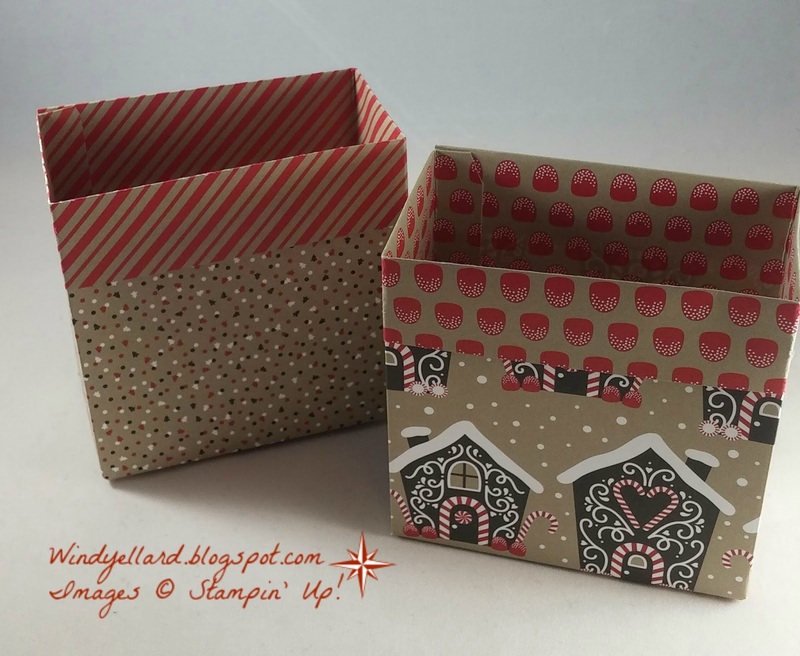 She demoed how to make the bags with the Gift Bag Punch Board. with some new and some retired Christmas DSP in medium size. 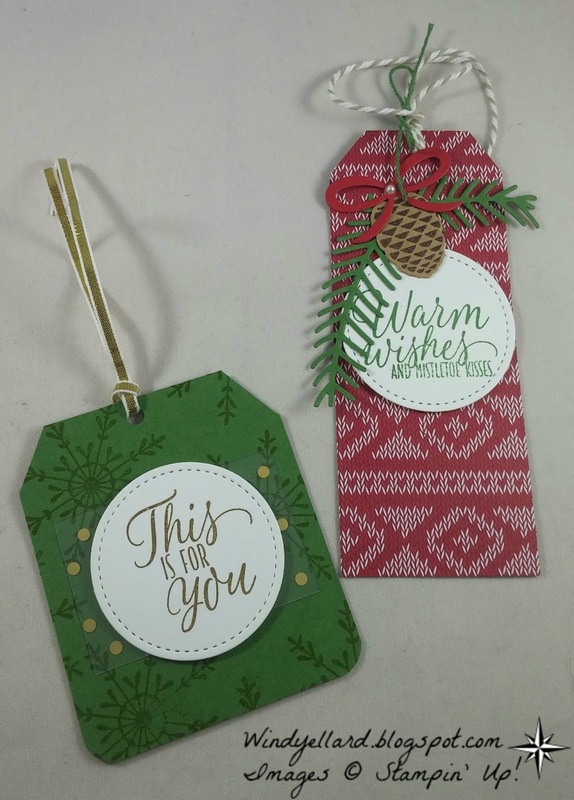 Last photo shows some of my sample tags for class. I hope you can have a merry day and thanks for stopping by! 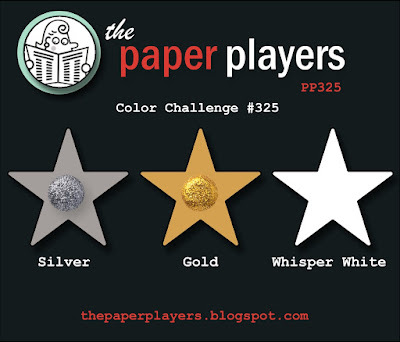 Great color challenge for this time of the year! I have finished my Christmas cards and mailed them out. 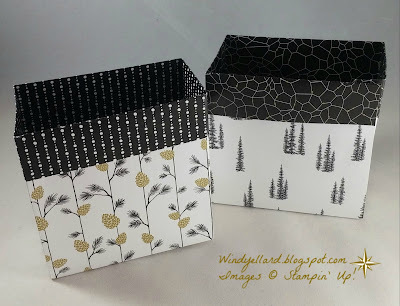 in a few weeks for after Christmas gifts)! 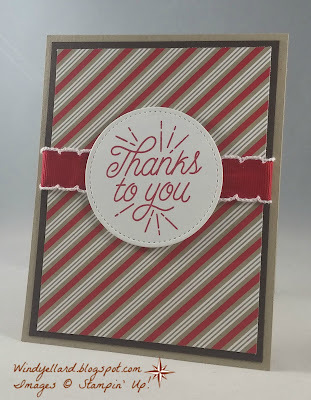 I used some of my load of Candy Cane Christmas DSP! classes this week will use some up! 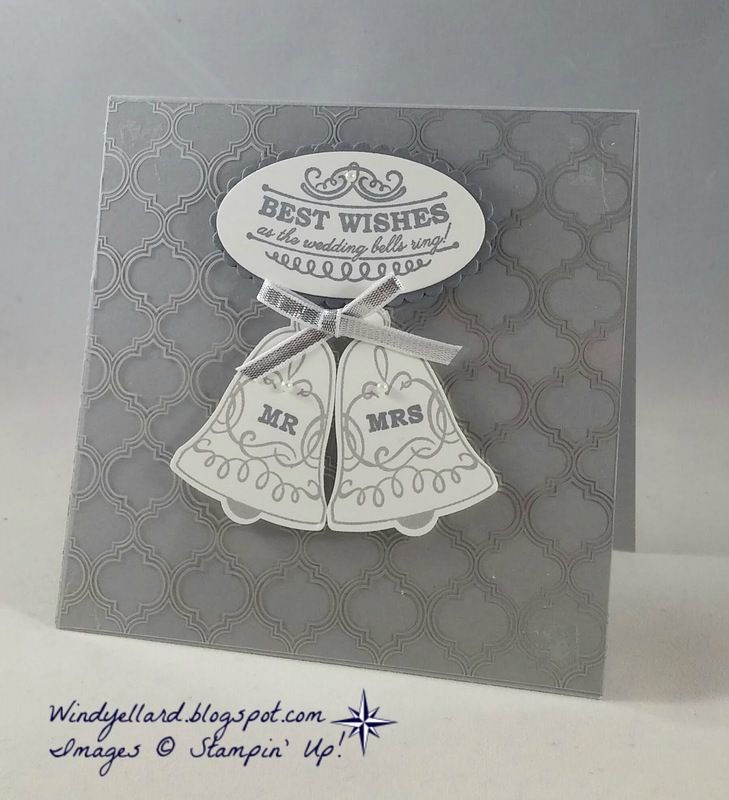 The sentiment is from Designer Tin of Cards. I had a strap of the ribbon so added it behind. 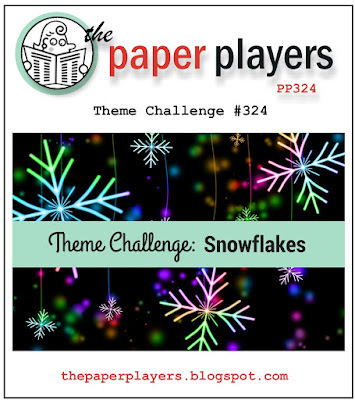 When I saw the snowflakes challenge I wanted to play along! 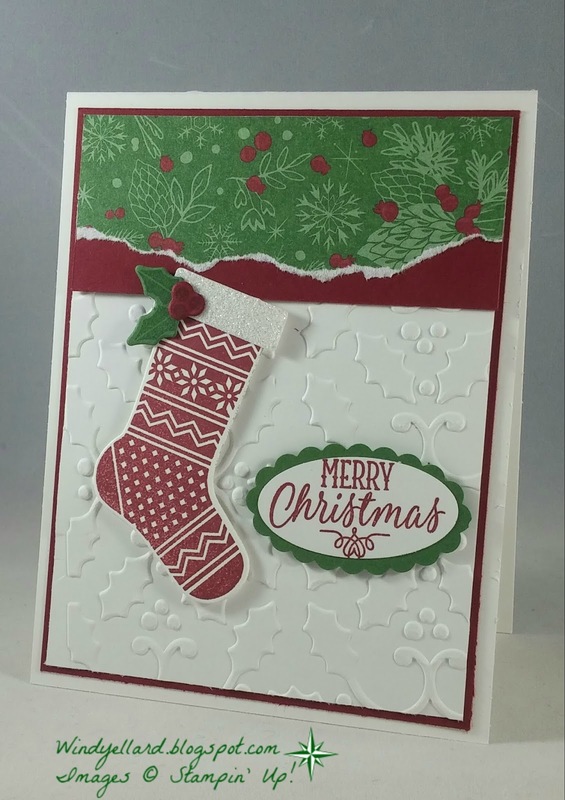 However, I am so done with Christmas cards and all mine are now mailed out! 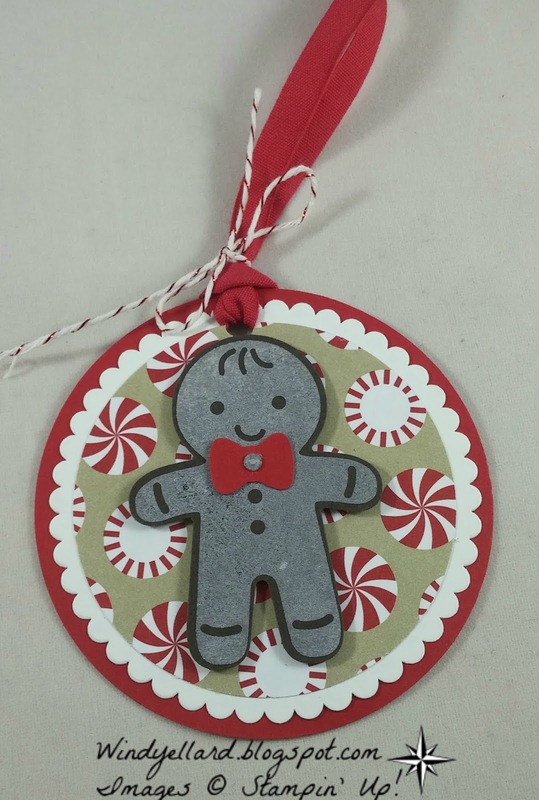 can have another sample for classes. 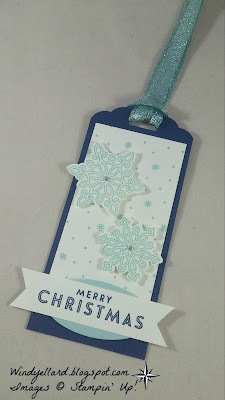 I cut the Merry Christmas in a banner and stamped in Night of Navy. Added a small oval in Pool Party behind. I used retired Pool Party glimmer ribbon. the InkBig design team last month. I used the cooper foil paper to layer with Very Vanilla and Pool Party. 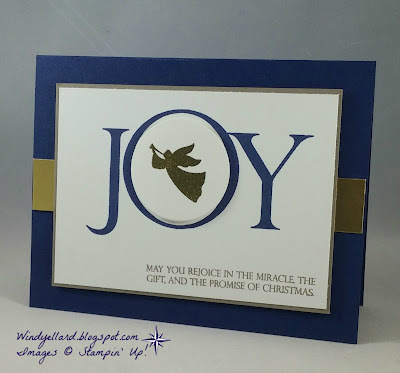 I heat embossed the flourish with Copper emboss powder. 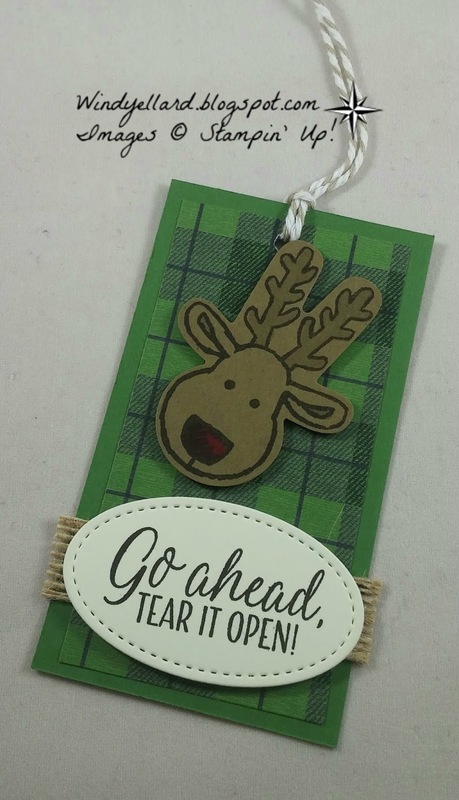 I also heat embossed the bells and the sentiment. 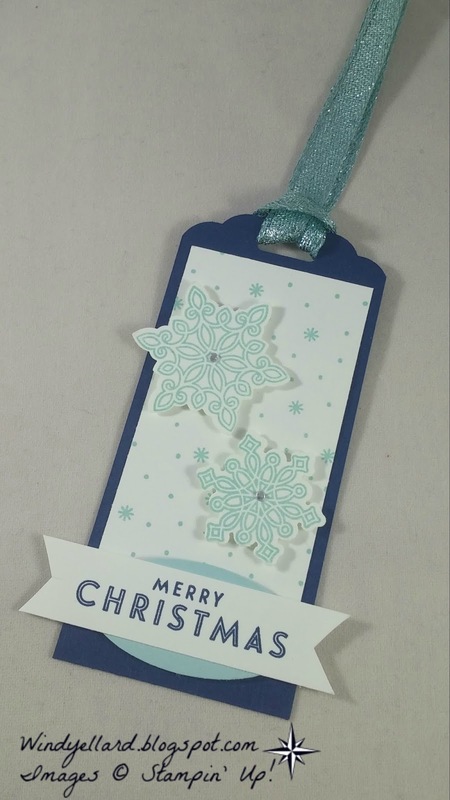 I hope you have a wonderful day and a Happy Christmas! 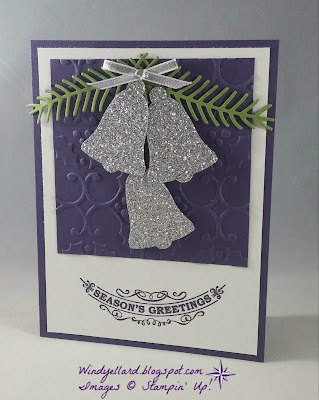 Love some silver bells. The song makes me cry. My grandfather and I sang it together as he played it on the piano. I punched three bells from silver glimmer paper. 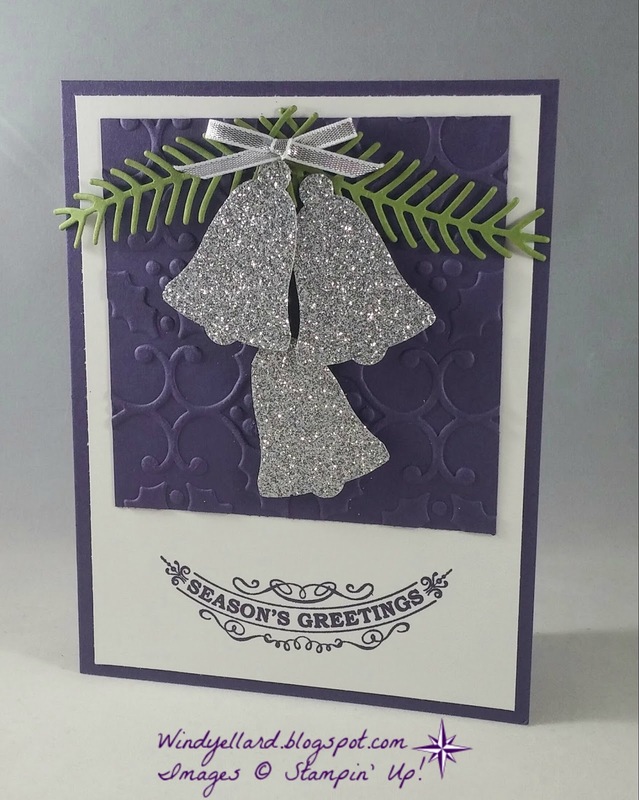 Embossed some Elegant Eggplant with the holly folder. Add a few pine branches and it just sparkles! I designed this for the InkBig design team last month. I have to work purple in where I can. 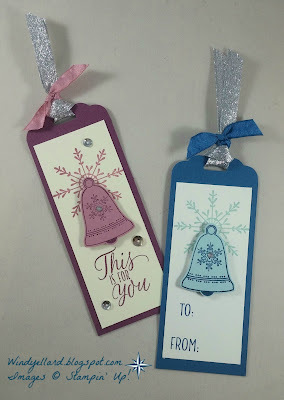 A few tags I designed with the Seasonal Bells set and matching punch. and punched out with the bell punch. Same with the blue in Pool Party card stock. Hope you can have fun making tags this year! this week. So this will be in the stash when she comes. and popped it up double across. 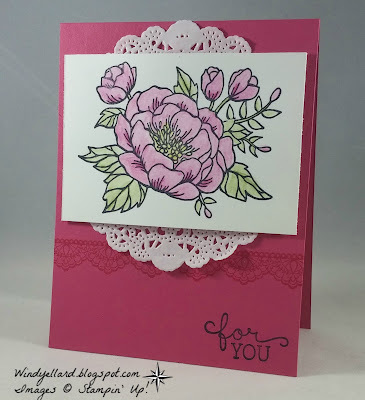 this week with Narelle's awesome sketch!